New tools are making it easier and easier to create super-sized digital displays and video walls. 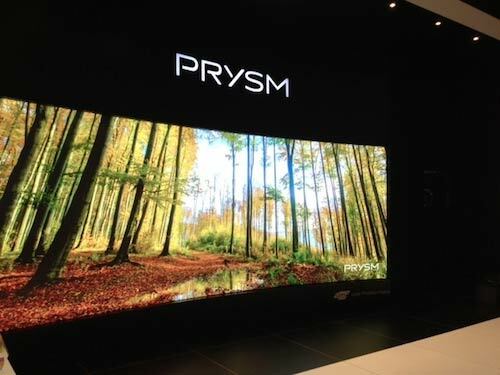 Prysm showcased the latest version of its LPD video wall technology. It offers a 472 x 320 per tile pixel resolution and has 178 degree viewing angles that allow the display’s content to be seen from anywhere in the room. The size and configuration of the video wall can be tailored to fit the needs of any indoor environment. It does not require special HVAC or electrical upgrades to run cool. The video wall solution can scale images to more than 100-feet wide. Users can interact with the displays via touch, motion sensing or their mobile devices. Busy family savors automation in their renovated home.